Richard has been working in veterinary medicine for over 12 years. Originally from Long Island, NY, Richard moved to Washington, DC in 1997 to attend American University. After graduation, Richard worked at Friendship Hospital for Animals from 2001-2005 in various positions including Front Desk and Inventory Manager. In 2005 he took a management position with the Boy Scouts of America, in their Bethesda office. 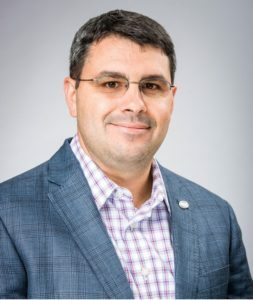 Over the past 8 years he has managed and consulted with various veterinary hospitals in the DC area including Union and Palisades Veterinary Clinics. Richard lives with his wife Nicki, a veterinarian, daughter Alexis, son Russell and their 15 year old cat BB. Melina joined our Client Care team in July, 2016. She was born and raised in the Chicagoland area, and spent several years in central Pennsylvania before moving to DC with her partner in 2016. She attended DePaul University and earned a B.A. in Secondary Education with a concentration in Social Science. Melina’s deep love of animals brought her to Dupont Vet Clinic, where she has a front row seat at the pet parade that marches through our lobby daily. In her free time, she enjoys reading, learning about local history, sewing, and making up songs about her cat and Miniature Schnauzer. 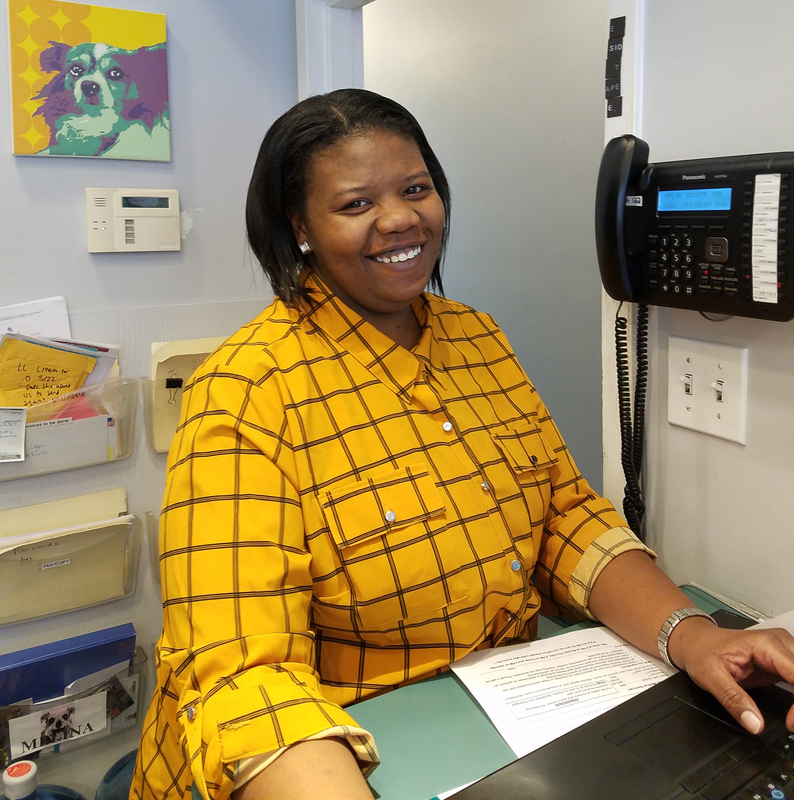 Tanika joined the Client Care team at Dupont Veterinary Clinic in 2015 after working two years in the customer service field. A native of DC, she attended Norfolk State University as a Biology Major and now resides in DC with her growing family, her boyfriend Devon and their ADORABLE son Kahn. 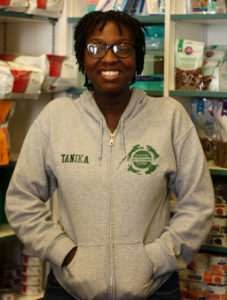 Tanika brightens any room with her upbeat personality, smile, and sense of humor. Her incredibile work ethic, medical knowledge, organizational skills, and flawless customer service make her one of our most valued Customer Care team members. In her spare time Tanika loves to read, binge watch Criminal Minds and shower her son with kisses. She has always loved animals, her favorites being snakes, Guinea pigs and French Bulldogs. 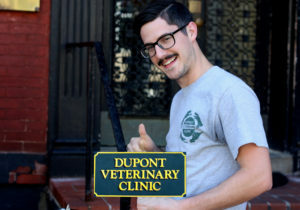 James joined the Dupont Veterinary crew in 2015. He was born in Little Rock, Arkansas then moved to Indianapolis, Indiana where he spent most of his childhood. After graduating from Indiana University he moved to Northern Virginia to work on an 18th century living history farm. His love of caring for livestock is what led him to work at Dupont Veterinary Clinic. Outside of work he enjoys researching the American Civil War, playing music, hiking and camping, and supporting his favorite fútbol clubs. Laura is originally from the Pittsburgh area, but moved to DC in late 2018. 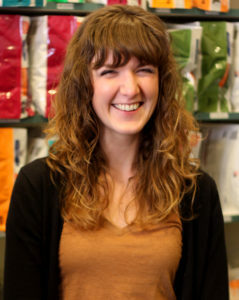 After graduating from University of Pittsburgh in 2011 with a degree in non-fiction creative writing and a minor in Japanese, she moved to Monterey, CA where she found her passion for animals by working for a local shelter. Laura played on an internationally ranked roller derby team when she lived in Omaha, Nebraska. She spends her free time exploring the DMV area, reading, and working on her cooking skills. 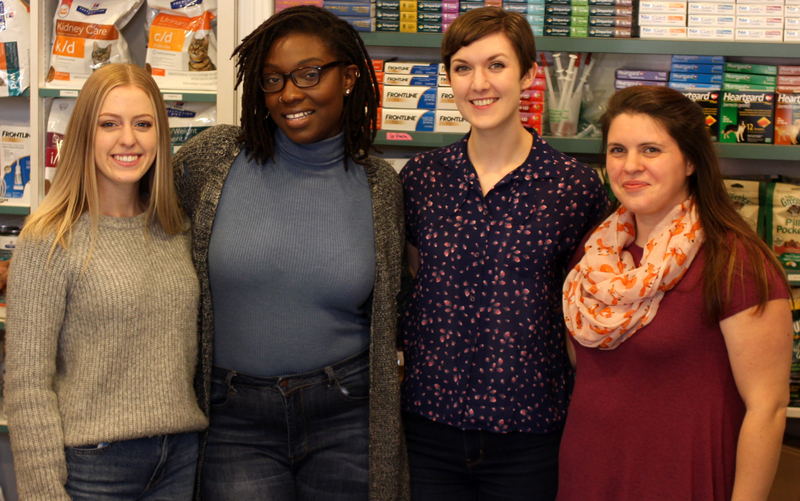 Abby joined the DuPont Veterinary Clinic team in October 2018 after moving to the Washington, D.C. area. She was born and raised in Dallas, Texas before attending Florida State University, where she earned her BS in Criminology. She loves meeting new pets every day at the clinic, and hopes to work her way toward becoming a veterinary technician in the near future. Some of her hobbies include weightlifting, photography, and spending quality time with her two cats Nala and Luna. Shannon joined the client care team in February 2019. 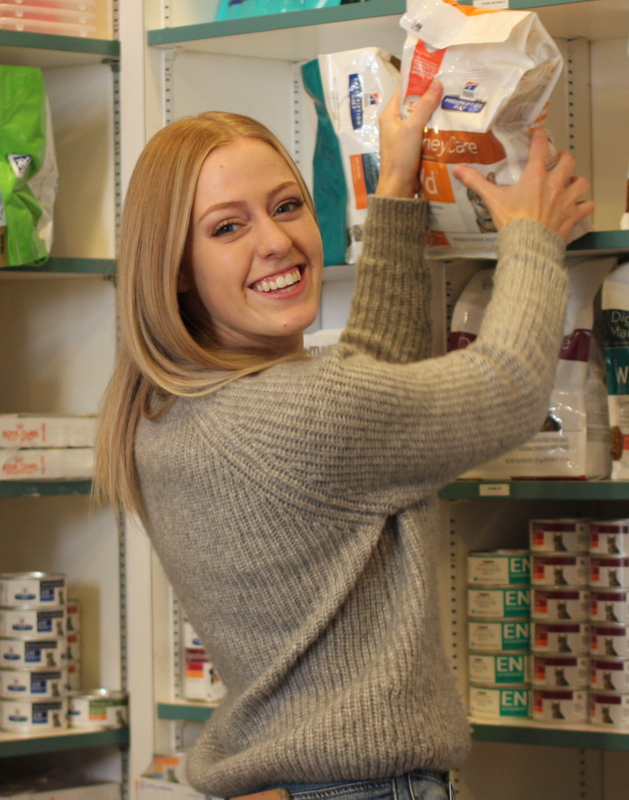 She has been working in the pet care industry for the last 8 years and has definitely found a passion for working with our four-legged friends. Born in D.C. and raised in Maryland, She recently moved back to the area from Baltimore, where she attended Morgan State University as a biology major. Shannon is a proud owner of the coolest turtle in the tank Buddy and the wonderfully crazy cat Twixx. Her hobbies include reading A LOT, being sure to stay up to date with current events, playing with Twixx everyday, taking trips to new places and trying new things! Shannon always has a joke up her sleeve and is always ready to jump in and lend a hand to anyone. 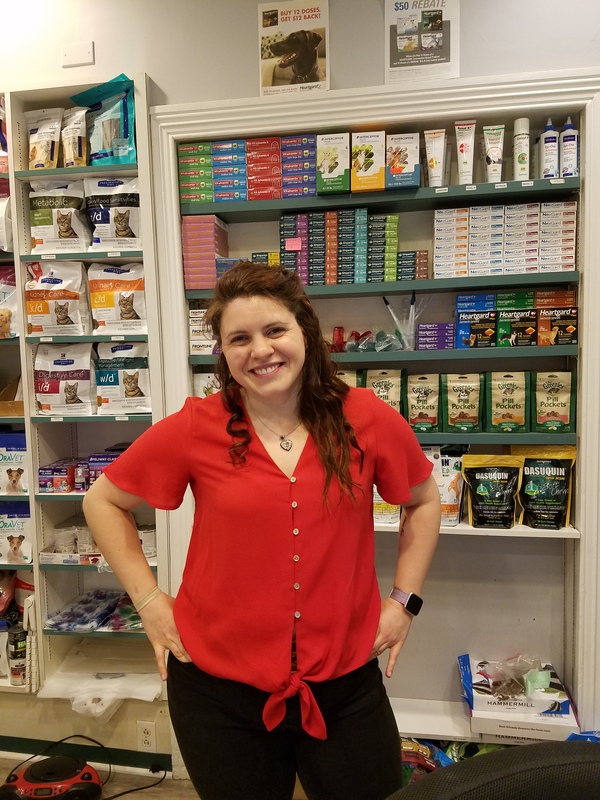 Her quick problem solving and customer service skills are definitely being put on stage everyday here at Dupont Veterinary Clinic but she loves every minute of it! Kathryn was born in Washington state, grew up on the east coast and attended James Madison University for college. She worked as a veterinary assistant for a non-profit clinic near Richmond, VA before moving to DC in 2015. Growing up with four horses, a goat named Buckwheat, and several cats and dogs, animals have always been an important aspect of her life. Her passions also include traveling, being outdoors, and trying new restaurants. 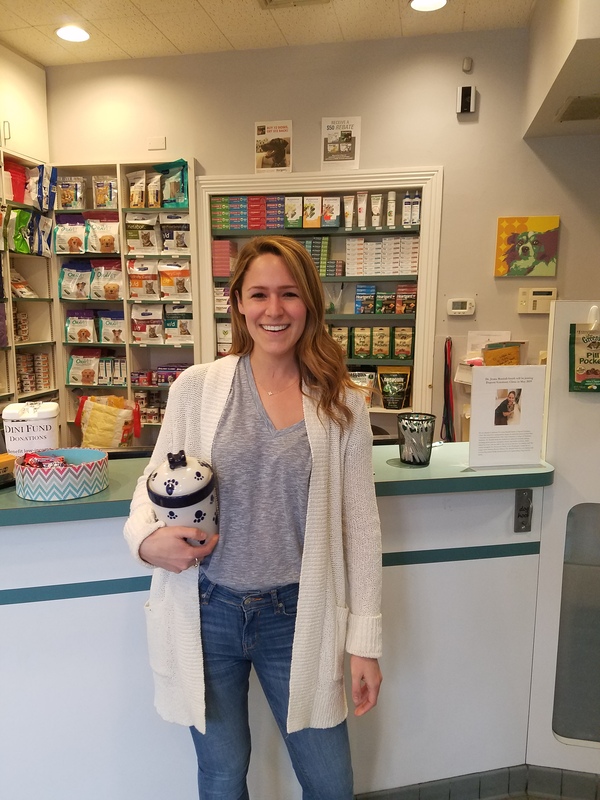 She joined the Dupont Veterinary Clinic team in February 2019.